Your vapor pad is constructed using an expanded aluminum base. The aluminum base is coated with a hydrophilic material that absorbs water. As warm air from your furnace passes through the vapor pad, the water contained in the coating evaporates to provide your home with humidity. Over time, water deposits build up on the vapor pad, preventing warm air from passing through. If you wash the vapor pad in an ATTEMPT to remove the deposits, you'll also wash off the hydrophilic coating. 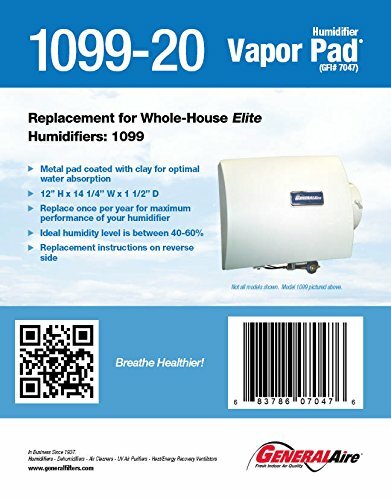 Your humidifier is then unable to provide humidity to your home.